Advanced Navigation has announced that its inertial navigation system (INS) has been selected by the Academic Motorsports Club Zurich (AMZ) for integration into the team’s new driverless race car. The AMZ was founded in 2006 by students of ETH Zurich. It has produced numerous prototypes to compete in various Formula Student competitions. After producing 3 combustion engine cars, AMZ decided to move to electric racing cars, breaking the 0 to 100kph world record for an electric car. 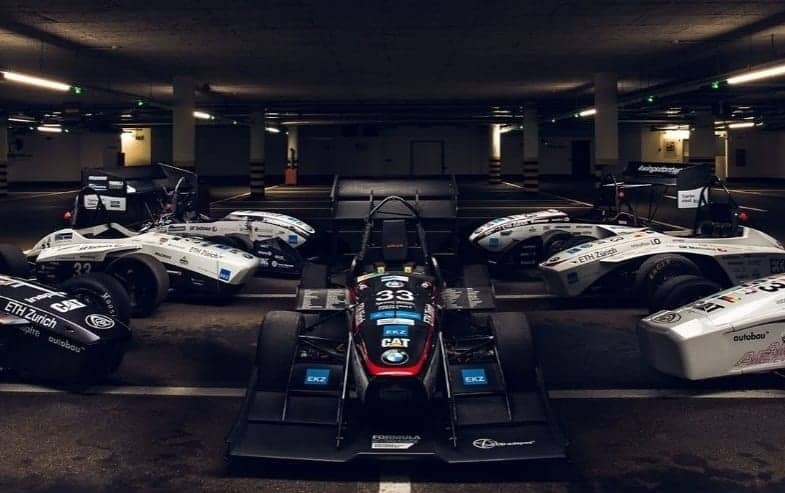 The team decided to participate in the first Formula Student Driverless competition within Formula Student Germany – a competition between race cars driven without any human intervention. AMZ’s latest car, the Gotthard, named after the famous Swiss mountain pass, weighs only 181 kilograms. With 156kw, the power-to-weight ratio is 0.86 kW/kg, a value that exceeds even supercars and gives the prototype tremendous acceleration. For an autonomous race, the IMU (inertial measurement unit) and GPS are among the most important components of the car’s navigation system. After trialling numerous brands, AMZ selected the Advanced Navigation Spatial Dual, a ruggedized miniature GPS-aided INS and AHRS that provides accurate position, velocity, acceleration and orientation output.